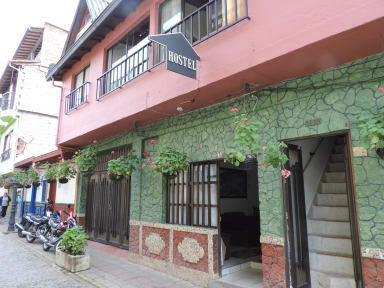 La Casona Hostel i Guatape, Colombia : Boka nu! Located central close to the main square and the bus stop. 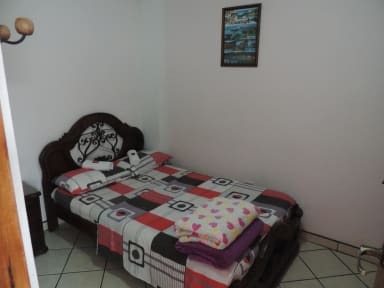 The dorms are fairly clean, however the bathroom was very dirty and the shower a complete a mess (the shower curtain kept falling down and the entire floor got drenched). The hostel also completely lacked in security with no lockers and a front door that was wide open during the day. One guy in the staff was really helpful and friendly, the other one not so much. The atmosphere was good and there's also hammocks and a pool table.